Right now, the stores are full of candy corn, candy pumpkins, every size and shape of chocolate candy bar and buckets of bulk candy. In a couple of weeks, about half of that candy is going to find its way to your house! 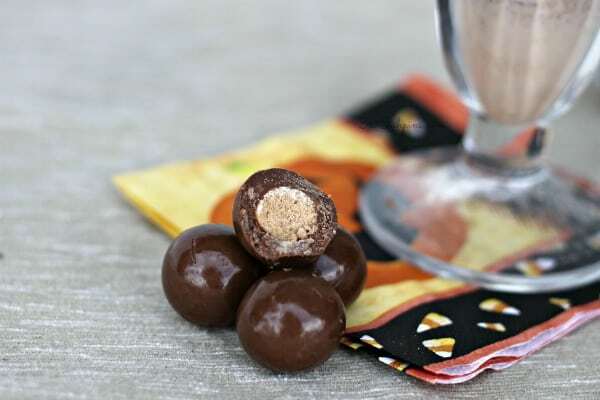 The last candy to go from our trick-or-treating buckets is the malted milk balls. I’m not sure why, because they are actually quite good! They were always my mom’s favorite when we were growing up. 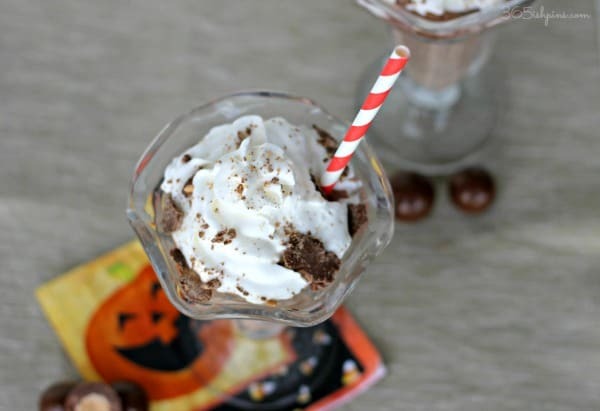 But my kids are not huge fans so I came up with a tasty way to use them up: Malted Milk Ball Chocolate Milkshakes! Add the milk, candy and ice cream to the blender in that order, and blend on high until smooth. Top with whipped cream and crushed candy and serve immediately! I really, really, REALLY wanted to try a fun layered “candy corn” drink using the special “Orange Scream” milk they have right now, but there aren’t any stores in our area carrying it! So, if you see it, will you try it for me? You can layer liquids based on their sugar content (like this 4th of July layered drink) so I was hoping to maybe use some Torani orange syrup as a layer, along with a layer of the Orange Scream and some whipped topping on top to create a candy corn look. I have NO idea how that would taste or if it would work, but I wasn’t able to test my theory. So let me know if you try it! You could also use the orange milk to make a pretty orange pudding (mix it with vanilla pudding mix) and create a fun poke cake for your Halloween parties! What a fun dish. I bet it tastes great. As a kid, malt balls were one of my favorites. These remind me of malted milkshakes we used to get at a little drug store and soda fountain when we visited my husband’s grandmother. Thanks for sharing! yep yum!! that looks amazing. I love candy in milkshakes!!! So fun. We make a lot of milkshakes here for the little ones. This might just make it into rotation. Looks fabulous, Nicole! Milkshakes are always a winner in our home. I can’t believe the malted milk balls are the last to go! Those are one of my favorites! Your milkshake looks awesome. 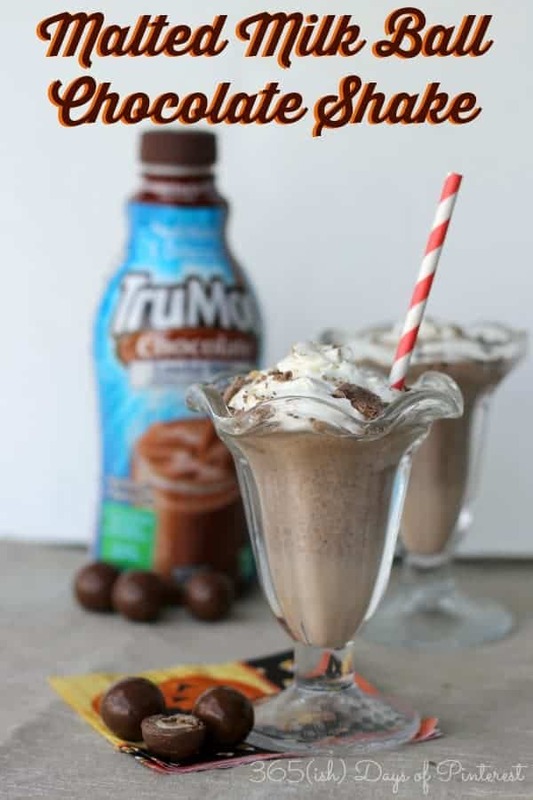 I do like TruMoo…I often buy the chocolate milk for the car ride home after soccer practice. How can this be anything but yummy! Good job! This looks heavenly!!!!! A must try for sure!!!!! What a great idea. I can see why your kids love this shake!